March is National Nutrition Month, an annual campaign sponsored by the Academy of Nutrition and Dietetics. At Care Medical Group, we are proud to join the Academy along with hundreds of other health care organizations around the country, as we help you make healthy lifestyle choices. Healthy eating is one of the most important things you can do to improve your general health. Nutritious, balanced meals and healthy snacks may reduce your risk of heart disease and stroke and may also boost your overall feeling of well-being, giving you more energy and vitality. A healthy lifestyle involves choosing a balanced diet and a healthy eating plan that is appropriate for you. In 2011, the U.S. government replaced the Food Pyramid, which had been used since 1992, with a new visual guide known as MyPlate. This image provides a simple way of picturing a healthy meal. 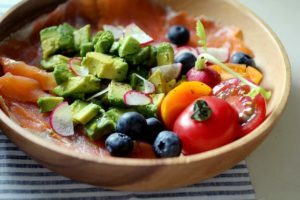 The accompanying website provides a vast amount of to help you learn about, plan, and track your journey to healthy eating. Notice that fruits and vegetables take up half of the plate – more is better, and a variety of colors is also best. When it comes to grains, go with whole grains, while avoiding refined grains (such as white bread or white rice) as much as possible. For protein, try to stick with lean meats along with beans and nuts, and limit your consumption of red meat and cheese. Finally, drink water along, with tea or coffee (without the sugar! ), instead of sugary drinks, and limit dairy and juices. 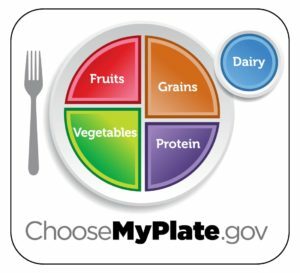 The ChooseMyPlate.gov website has resources for all types of people. Whether you are a college student or a mom-to-be, you can design a personalized meal plan that fits your schedule and needs. There are many resources available on the site that empower you to eat healthy and live well. They even have a Worksite Wellness Toolkit to help you spread healthy habits throughout your business. For more information or to get more tips on following a healthy lifestyle, call Care Medical Group at 360-734-4300.